Squeeze are a British band that came to prominence in the United Kingdom during the new wave period of the late 1970s, and continued recording successfully in the 1980s and 1990s. They are known in the UK for their hit songs “Cool for Cats”, “Up the Junction”, “Tempted”, “Labelled with Love”, “Black Coffee in Bed”, “Another Nail in My Heart”, “Pulling Mussels (from the Shell)” and “Hourglass”. Though not as commercially successful in the United States, Squeeze had American chart hits with “Tempted”, “Hourglass” and “853-5937”, and they have a dedicated following there and continue to attract new fans. 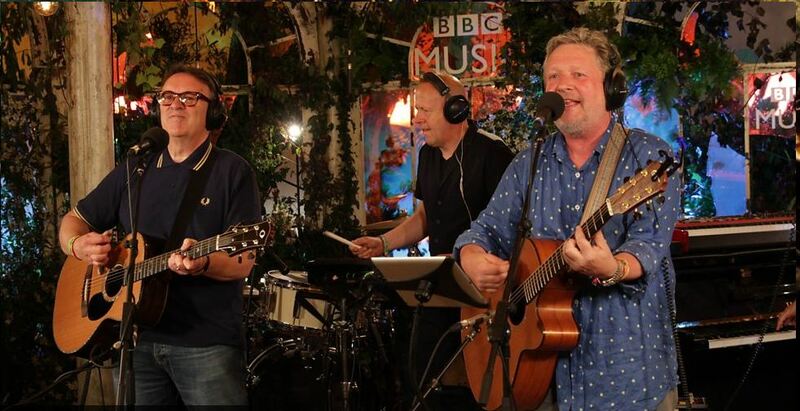 All of Squeeze’s hits were written by band members Chris Difford and Glenn Tilbrook, with the former penning the lyrics and the latter handling the composition. The duo were hailed as “the heirs to Lennon and McCartney’s throne” during their peak of popularity in the early 1980s.